Health & Science 25 October, 2017 . Written by Aidan Quigley. 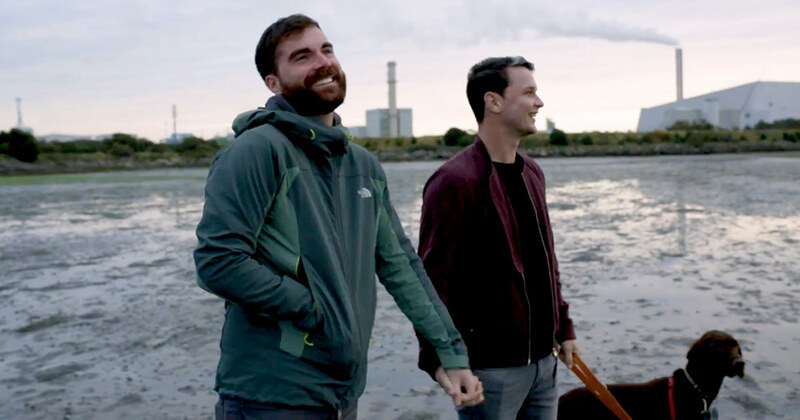 Act Up Dublin has released the short film Love & Suppression which explores the development of the U=U consensus and the radical changes that modern HIV treatments have brought to those living with the virus. For those unfamiliar with the acronym, U=U stands for Undetectable=Undetectable, a research-backed understanding that if a person living with HIV is virally suppressed to the point that modern HIV tests cannot detect the virus, then they are not able to pass on HIV. The film, which screened at Intertech’s HIV panel discussion POZNEG, features HIV activist Robbie Lawlor and his partner Maurice, members of the PARTNER study which helped to provide evidence to support U=U. In Love & Suppression, Lawlor speaks about the transcendent message that the film hopes to spread. “I think this message is one of the best tools we have currently of combatting that fear and ignorance and getting people to know their status,” he said. With misconceptions around HIV still high in Ireland, education is one of the tools which can help reduce HIV stigma, the video posits. The film was directed by HIV activist, Act Up Dublin member and artist Will St Leger who hopes that the film will make an impact in combatting “myths and misinformation” surrounding HIV. “We wanted to look beyond the dry medical data to the real-world impact that the Undetectable=Untransmittable (“U equals U”) message can have on the lives of millions of people living with HIV and those who love them,” St Leger said. 25 October, 2017 . Written by Aidan Quigley.